All those wrinkles make breeds like Mastiffs, Shar Pei, and Pugs so darn cute! But those adorable wrinkles need a little extra attention to make sure they stay clean and healthy. 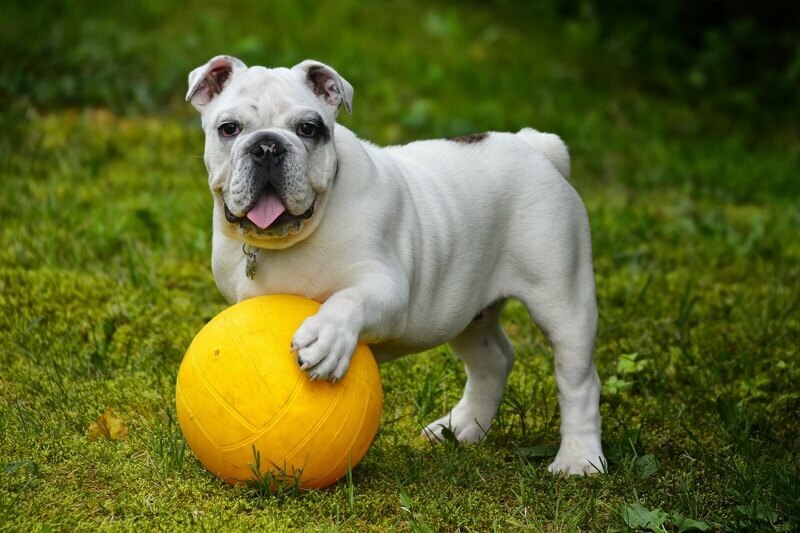 Here’s what you need to know about caring for a dog with wrinkles. By the way, did you know that the plural for Shar Pei is Shar Pei? They are like the deer of the dog world! Wrinkled skin can get pretty itchy, especially if it’s not kept clean and dry. 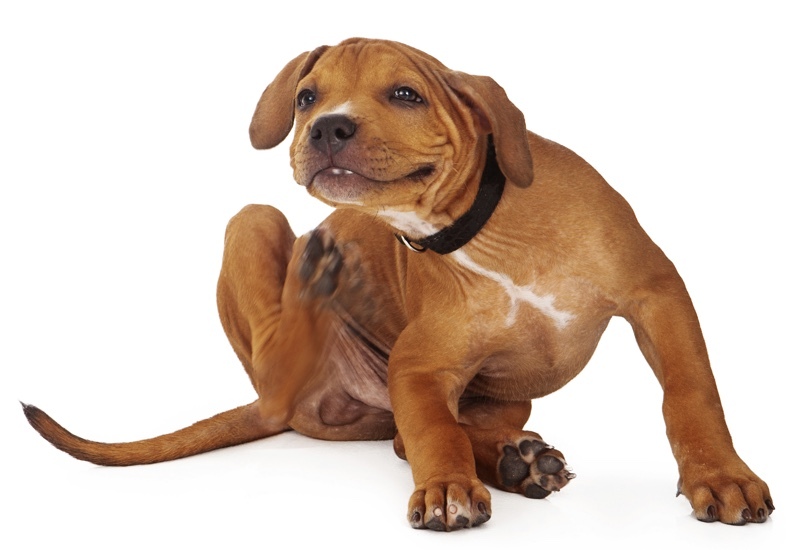 Dogs might try to scratch that itch by biting or pawing at their skin or rubbing their faces along the carpet, which can cause cuts and abrasions. 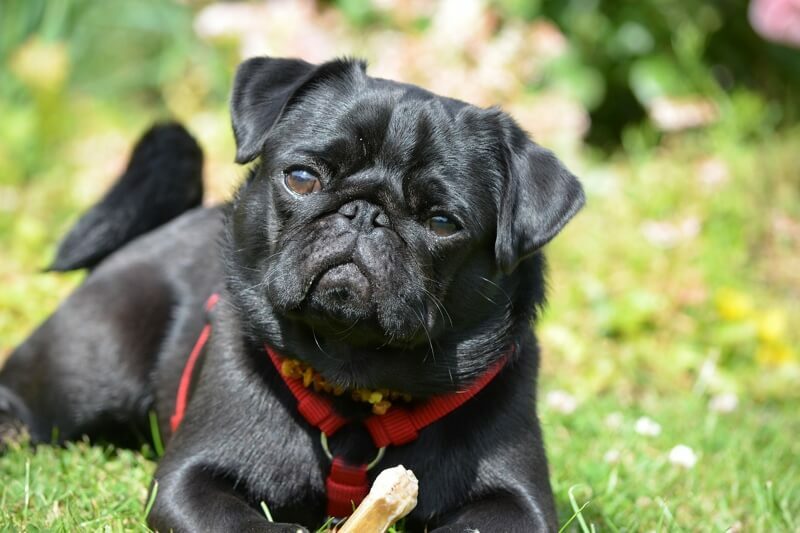 Irritated skin, which might appear red, bumpy, or inflamed, can occur when particles of dirt or bits of food get caught in the wrinkles or it can indicate that your dog has an infection. If dirt or food isn’t cleaned out, your dog can get pretty stinky. Yeast or bacterial infections, which have a tendency to grow in wrinkly skin, can also smell bad. 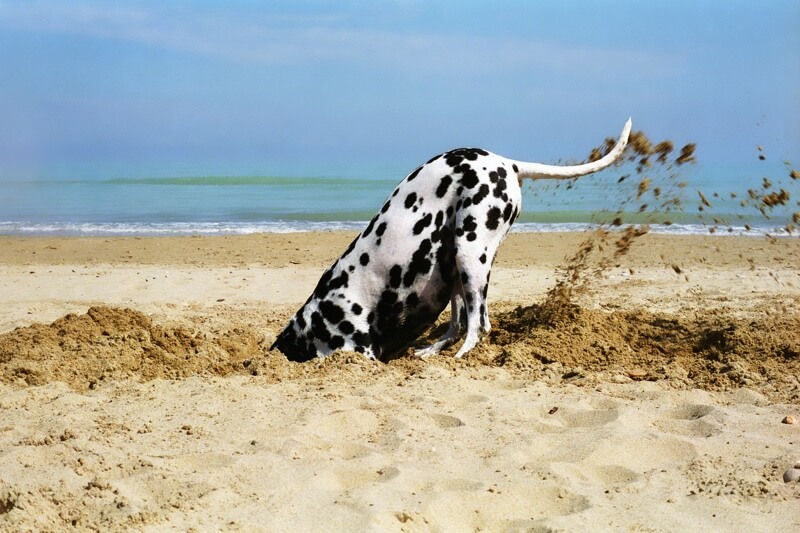 If you notice any of these issues, you can ask your veterinarian for advice. Your dog may just need to have those wrinkles cleaned out, but these signs can also indicate an infection or another common skin problem that requires treatment. To effectively treat a skin issue, you need to know what’s causing it. Your veterinarian can help diagnose the problem by examining your dog and taking a sample from the affected area for testing. Lab tests can determine whether it’s a yeast or bacterial infection and what kind of antibiotic would clear it up. Your dog might need a topical or oral antibiotic as well as ointment to soothe down the itchy feeling. Infections usually go away in a week or two with proper care. How do you avoid skin issues with wrinkly dogs? The key is to make sure those wrinkles stay clean and dry. Ask your veterinarian for a skincare routine that’s right for your dog, but most will need a daily clean-up and regular bathing. Alcohol-free and hypoallergenic wipes are made for a baby’s sensitive skin, which makes them a good choice for your dog. They’re convenient and typically easy to dispense. You can buy special canine wipes at a pet supply store. They’re gentle and designed specifically for dogs. You can use a soft washcloth to clean your wrinkly dog. Be sure to wash it often and dry the skin afterward if you need to dampen the cloth to get the job done. Avoid using rubbing alcohol, which can dry out the skin. They’re not just for removing make-up and nail polish! Cotton balls are multipurpose wonders that clean wrinkles too. Just be careful not to leave bits of fuzz behind as you clean. The same gauze you keep in your first-aid kit for cuts can be used to clean wrinkles. Q-tips aren’t the best choice for doing an all-over cleaning, but they can help you get at stubborn dirt tucked in a wrinkle. Please be careful and gentle if you use a Q-tip since it can injure the skin. To do the cleaning, gently separate each fold. Check the skin for issues and clean out any dirt or food with a swiping motion. Do as many swipes as it takes to clean the area, but take care not to cause any irritation. Once it’s clean, make sure it’s dry too. Then you can move onto the next wrinkle. In addition to daily care, you should give your wrinkly dog a bath as frequently as every one to four weeks. Your veterinarian can tell you how long you should wait between baths for your dog. You don’t want to over-bathe your dog and cause dry skin, but you also don’t want those wrinkles to harbor dirt. Choose a shampoo made for dogs—the gentler, the better since wrinkly skin tends to be sensitive to harsh soaps and fragrances. Talk to your vet or groomer if you need help choosing products that would work well for your dog. Be sure to wash carefully in between the wrinkles, lifting the folds as you go. Rinse away any soap residue to help avoid itching and irritation. Towel-dry your wrinkly dog thoroughly and skip the hairdryer, since it can dry out the skin and leave wet spots in the folds. Mastiffs have shorter hair and don’t need as much brushing as breeds with longer coats, but you should still brush them regularly. You’ll need a big bathtub to fit your big Mastiff! If the one in your bathroom isn’t large enough, you can buy an extra large plastic tub or bathe your dog outside if the weather is warm. It’s helpful to get Mastiffs familiar with a bathing and grooming routine while they’re still small puppies. Once they get bigger and stronger, it will be harder to get them into that tub if they’re not used to the idea. These dogs have folded ears where dirt and infections can hide. Clean the ears gently every couple of weeks and check for mites, which are a common problem for dogs. Not all Mastiffs have messy eyes, but some can get pretty bad without a little TLC. Carefully wipe around the eyes to remove any dirt or discharge that might have accumulated. You should also be aware that Mastiffs are prone to inherited eye issues, such as Progressive Retinal Atrophy (PRA). In addition to PRA, Mastiffs and other large dogs are susceptible to other inherited conditions, including hip dysplasia. If you’re considering pet insurance for your big dog, check to see if it covers hereditary and congenital conditions like these. ASPCA Pet Health Insurance offers coverage for hereditary and congenital conditions. See pricing for your dog now! Shar Pei are medium to large-sized dogs who have a lot more wrinkles than Mastiffs. However, the same basic care tips for Mastiffs apply to Shar Pei. You need to clean their wrinkles daily, give them a regular bath, and check their eyes and ears often. Sure, Shar Pei are adorable with all of those wrinkles! 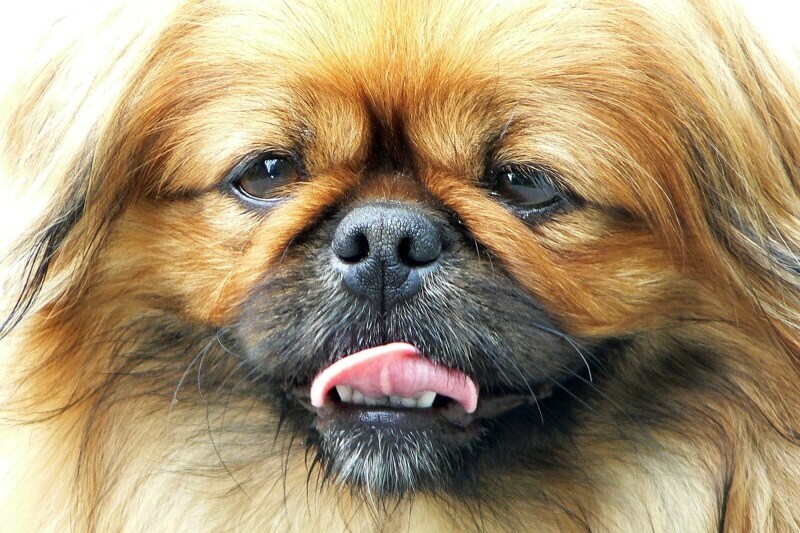 But did you know these facts about this unique looking breed? They get less wrinkly with age. It’s kind of like aging in reverse! Shar Pei puppies have more wrinkles than their older counterparts. They have blue-black tongues. Like the Chow Chow, Shar Pei have dark colored tongues. 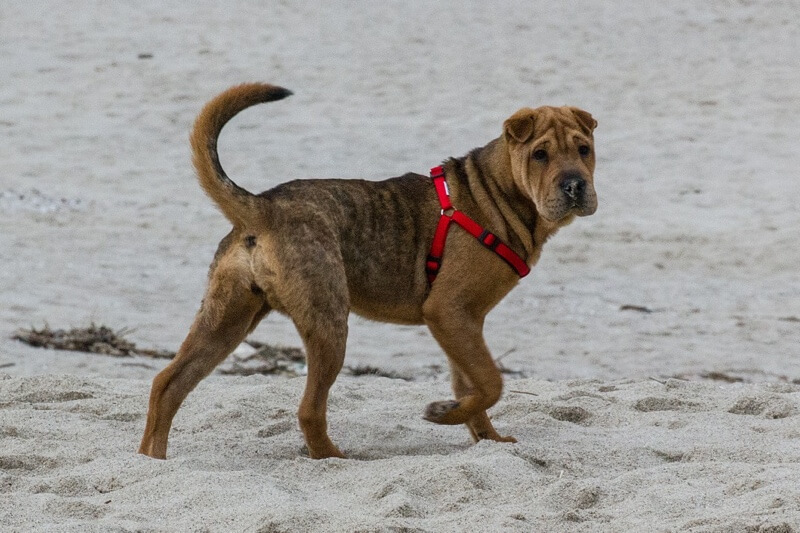 Shar Pei means “sandy coat.” These dogs were originally bred in China and named for the texture of their rough coat. They are prone to eyelid issues. Shar Pei can have a malformation of the eyelids, which can cause the lid to turn in or out and result in irritation and eye injury. They often need to be corrected through surgery. Shar Pei also have tiny ear canals, which can make them susceptible to ear infections, and an under bite that can cause breathing or eating problems. Cute little Pugs are quite the opposite of Shar Pei and Mastiffs when it comes to size. But like their larger friends, they need their wrinkles taken care of properly. 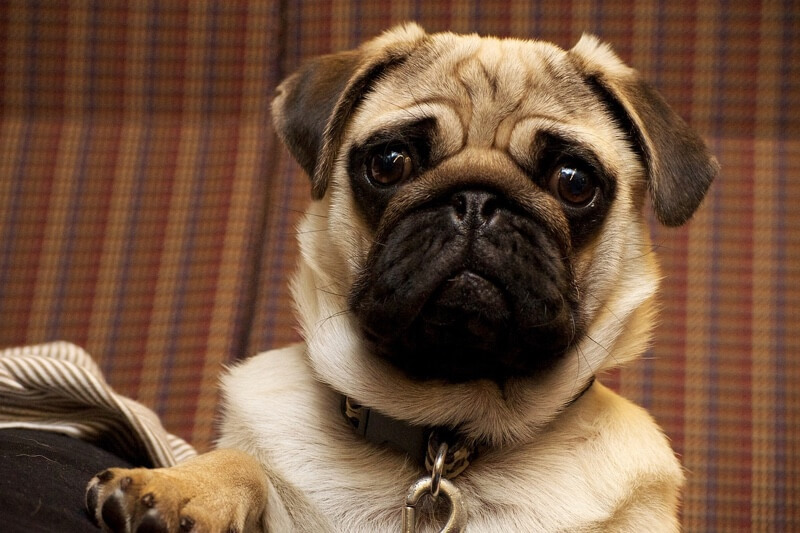 Pugs have a distinctive “V” shaped pattern of wrinkles on their foreheads that should be cleaned at least once a day. They also need a regular bath. Luckily, these little doggies fit right in the sink! 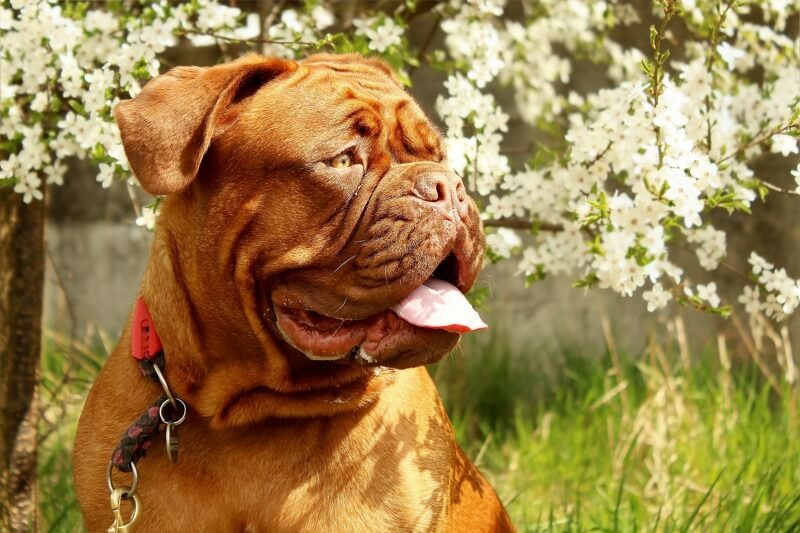 While wrinkly dogs are prone to skin issues, they can happen to any dog. 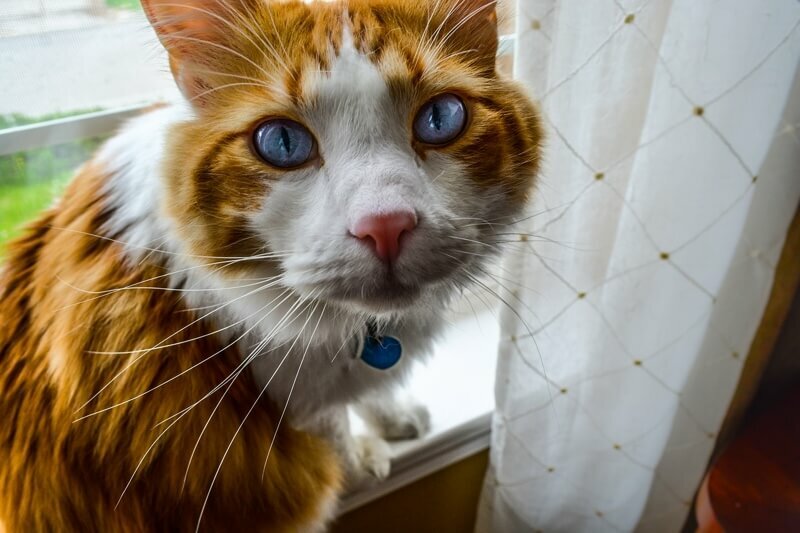 Pet insurance can help you manage the costs of treatment for all kinds of skin problems, from dry skin that needs prescription medication to infections that require antibiotics. It can also cover skin cancer, which is more common than you might think in dogs, especially breeds with shorter coats. Start your quote today!